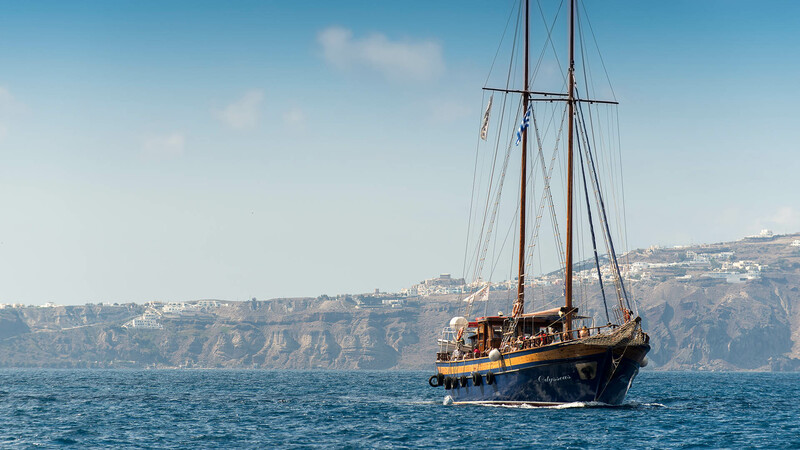 It’s our newest boat that makes sea excursions in Santorini and the flag ship boat of our company. Built in 2003 in Greece, is clearly Greek boat type. It has 4 sails, 2 main propulsion engines and 2 electric generators. Meets all of the safety regulations and is supervised by the Hellenic register. It has a very comfortable deck suitable for weddings, parties with buffet menu for about 200 passengers. It makes daily organized excursions to the Volcano Islands but it is also available for chartering.